Needle Roller Bearings F Series are essentially Cylindrical Roller Bearings except that their cylindrical rollers have a length 3 to 10 times their diameter (versus a length less than 3 times their diameter). Drawn Cup Needle Bearings F Series are also essentially bearings that utilize small & cylindric rollers. Therefore, the ratio of the bearing outside diameter to the inscribed circle diameter is small, and they have a rather high radial load capacity. 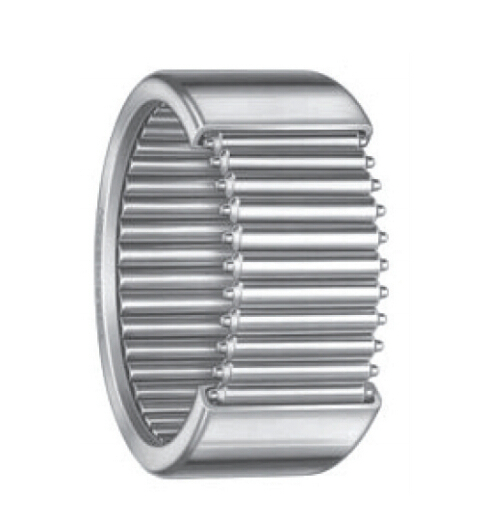 Even though they have a low cross section, needle Roller Bearings have a high radial load capacity and are exceptionally apt for bearing applications where radial space is limited. 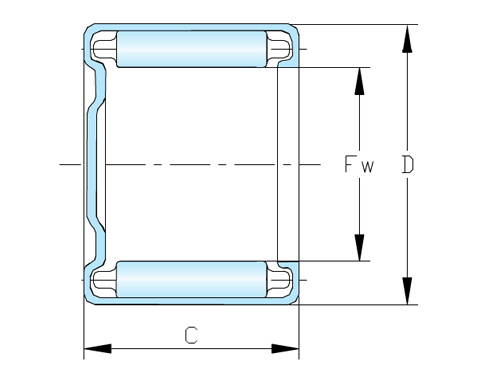 Full Complement Needle Bearings F have a drawn outer shell that serves as a raceway for the maximum number of rollers. This combines high radial load-carrying capability with low cost. Looking for ideal Drawn Cup Needle Bearings F Series Manufacturer & supplier ? We have a wide selection at great prices to help you get creative. All the Full Complement Needle Bearings F are quality guaranteed. We are China Origin Factory of Needle Roller Bearings F Series. If you have any question, please feel free to contact us.